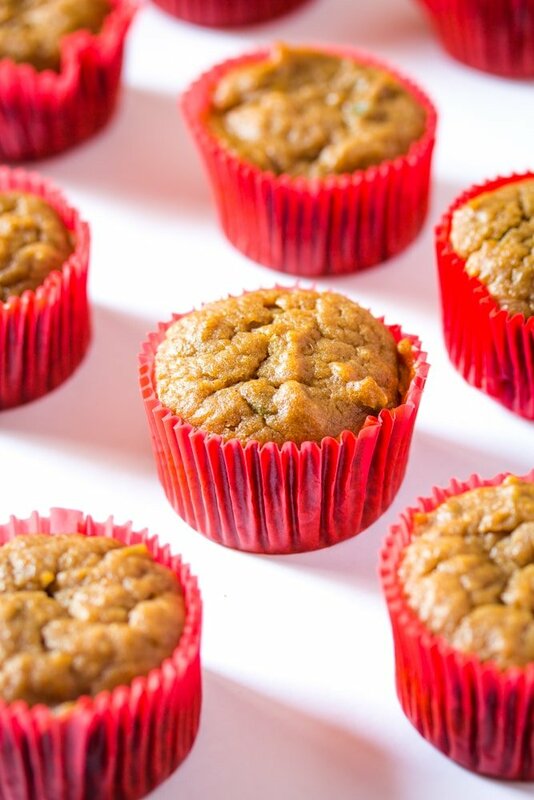 Let’s talk about these sweet looking Sweet Potato Muffins today. Because while they may sound weird to you, these sweet little muffins deserve all the spot light today. Btw, if you haven’t noticed, we love our muffins here at I Knead to Eat: these Blueberry Banana Muffins and the Best Banana Muffins are really delicious and easy too! What Do Sweet Potato Muffins Taste Like? 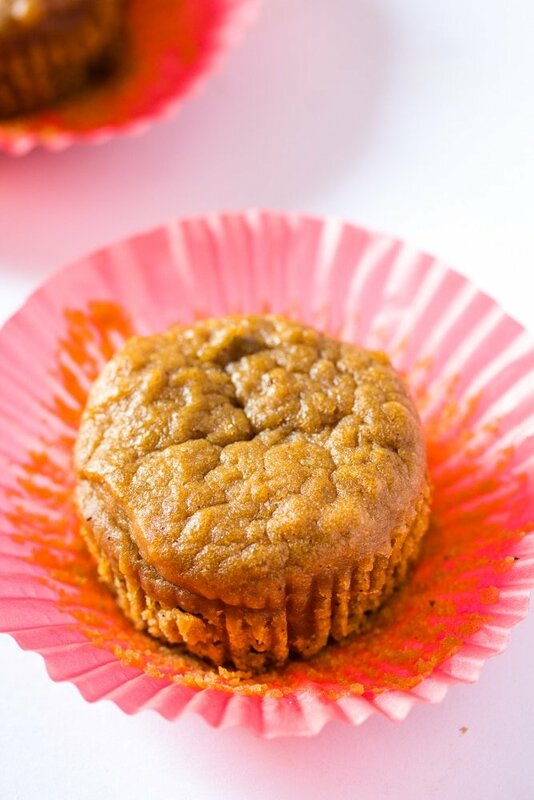 These Sweet Potato Muffins are SO delicious! They are dense and moist(yes we all hate this word but no other way to describe it) and super filling. They’re also sweet, but not super sweet and full of complex flavor. They are also kind of healthy because sweet potato is also healthy? So how did these Sweet Potato Muffins come into my life? Well, somebody went grocery shopping and bought a bunch of sweet potatoes to make baby food. But baby got tired of sweet potato puree very soon, so mommy was left with a bunch of sweet potatoes lying around. And so mommy made sweet potato fries, which were super delicious, but there were still a lot of sweet potatoes lying around. And that’s how these Sweet Potato Muffins came into being. 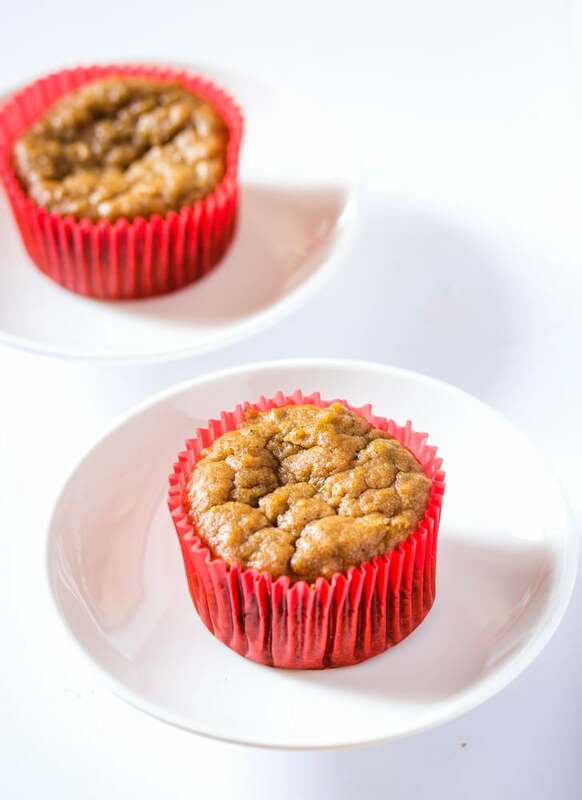 And also baby got a little tasting of these sweet potato muffins and he loved them! It’s so super easy to make sweet potato muffins. Mix the flour, both brown sugar and white granulated sugar, cinnamon, baking soda and baking powder into a mixing bowl. In a separate bowl mix together the wet ingredients: mashed sweet potatoes, eggs, oil and vanilla. Then pour in the wet ingredients into the dry ingredients and mix until fully combined. Spoon the batter into the muffin tin until 2/3 full. Note: For full list of ingredients and instructions scroll down to the recipe card, please. 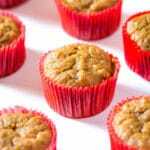 These Sweet Potato Muffins can be stored in an airtight container for up to 3 days. Sweet Potato Muffins are a delicious and easy muffin recipe, and a great way to use up leftover mashed sweet potatoes! Perfect for a breakfast treat. Preheat the oven to 375 F and prepare two muffin trays by lining them with liners. Add the wet mixture to the dry ingredients, and mix until fully combined. 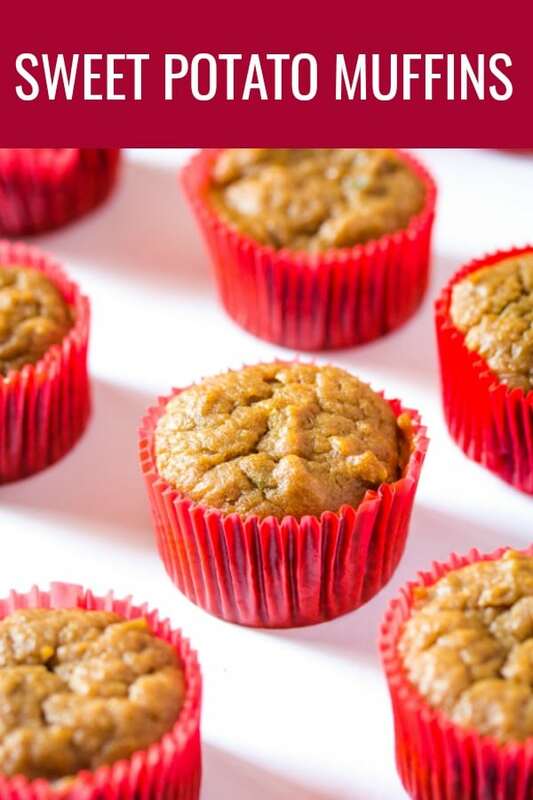 Using a scoop or a tablespoon, spoon the sweet potato muffin batter into the prepared muffin tins. Fill till only 2/3 full. Baked for 20-24 minutes, until a toothpick inserted comes out clean. Let cool completely, before serving.